Barbara was elected Director for Zone 2 in 2004, and has served as Chair of the Board since 2008. 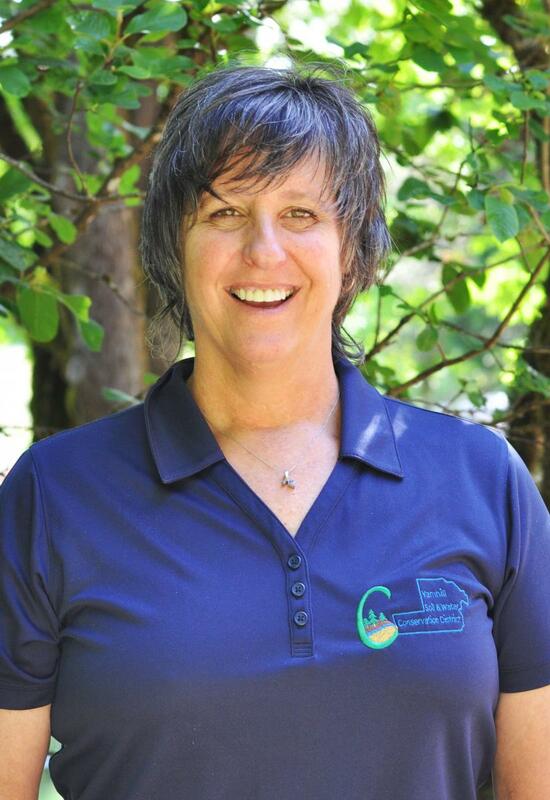 One of her primary goals, as director, is to educate people on the programs available to assist them with restoring and repairing our tributaries. She and her husband have taken 24 acres of their farm out of hay production to improve their riparian buffer. This involved planting ten thousand (10,000) trees which helps keep water cooler thus enhancing fish and wildlife habitat. In addition to her District involvement, Barbara has many interests, especially in agriculture and our natural resources. Barbara is Chair of the Soil & Water Conservation Commission, and Board of Agriculture member since 2012. She has participated and been a member of the McMinnville Downtown Association, and was voted McMinnville’s Volunteer of the Year in 2004; A Yamhill County Master Gardener, and was the Master Gardener of the Year in 1999, and a life member in 2002; McMinnville Farmers’ Market co-founder and managed the market from 2001 until 2012; and a Yamhill County Parks board member. 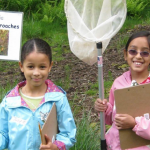 Barbara is also an active member of Nourish Yamhill Valley, established to help influence and educate kids and parents on healthy food habits, and has been a member since 2012. Together with her husband Tom, they assumed the Boyer Family Farm’s operations in 1999. With a desire for healthy soil and water their passion for organic farming seemed reasonable. They eventually were able to grow organic grass hay and have now created two smaller businesses on the farm: Gourmet Hay and a small CSA (Community Supported Agriculture) where families pay to grow organic vegetables. “Lead with Joy” is Barbara’s Mantra! Dave has served the District since 1998 as an associate director and most currently a director. His position is an at-large position, representing all of Yamhill County. As vice-chair he fills in for the chairman and does tasks as assigned. 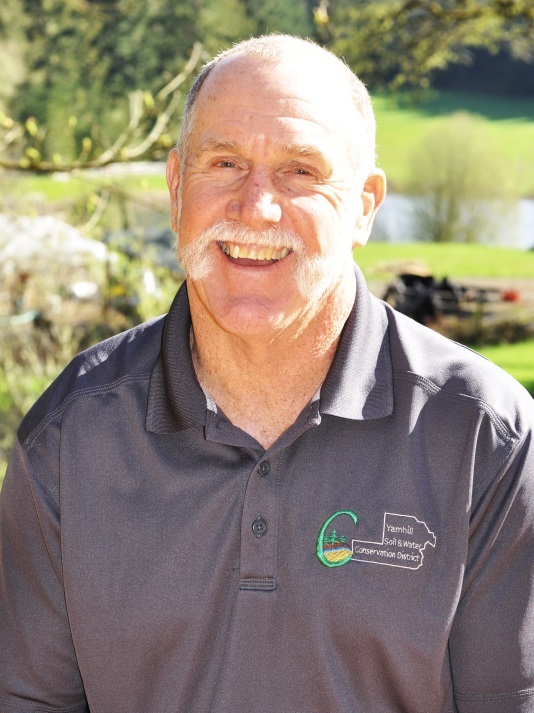 Dave is a third generation Yamhill County farmer and together with his wife, Doris, operates Three Oaks Farm, a small Century Farm, raising seed crops, grain, and hay. Dave has been active in many farm related organizations over the years and in 1996 was named State Cooperator of the Year. The Cruickshank’s Three Oaks Farm has hosted the Yamhill Soil and Water Conservation District’s annual Woodland Tour since its inception in 1961. Conservation has always been important on our farm as conservation practices are important to the natural resources of Yamhill County. Since 2008, Leo Krick has been the Director of Zone 3, which covers Sheridan and the western area of the county. 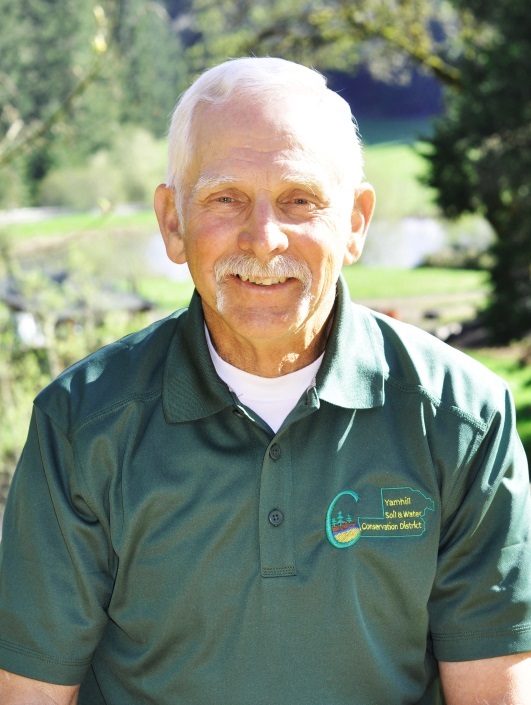 Leo has been a resident of Yamhill County since 1987. He and his wife Mary are the owners of Cherryhill Ranch, a 209 acre family farm nestled in the foothills of Sheridan. Their farm produces All Natural Grass Fed Beef through a cow/calf operation. He recently built a state-of-the-art livestock barn that houses their animals during the winter months, capturing enough rainwater to meet all of their drinking water needs. 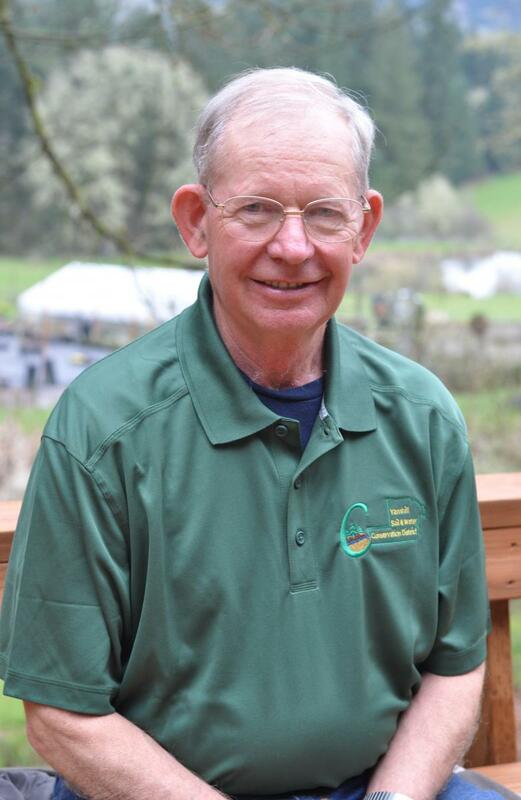 He has reforested over 50 acres and has completed a number of other conservation projects earning him the 2002 and 2016 Yamhill County Conservationist of the Year Awards. Leo’s other conservation interests include: Oak Savanna Restoration, Wildlife Enhancement and Water Quality. Leo also serves as a member of our Employee Relations Committee. Pat has served in his current role as director, and formally as an associate director, since 2010. His at large position serves all of Yamhill County. Pat’s many other hats include the current residing President of Oregon Association of Conservation Districts, Treasurer of Teens & Oregon Mustangs, Inc., Vice President of Oregon Horse Country, a subsidiary of Wilsonville Chamber of Commerce, and a member of the St. Paul Rodeo Association. As owner of Horse Boarding Stables, Pat and his family offer an array of equine services. His wife and son, Susan and Josh, train horses and people while his daughter-in-law, Erica, conducts lessons, camps and trail rides for children. Pat is 5th generation Hawaiian born – but has happily planted Oregon roots to be near his family. He enjoys riding dirt bikes, playing golf and the many other outdoor activities Oregon has to offer. Pat likes to live by the notion that “If you slow down you will go faster. Ximena fell in love with the Willamette Valley on her first visit from Florida in 2004. Together with her husband, they purchased a property in Yamhill and created Atticus Vineyard in 2005. They have been making wine commercially for 13 years under their Atticus Wine label. 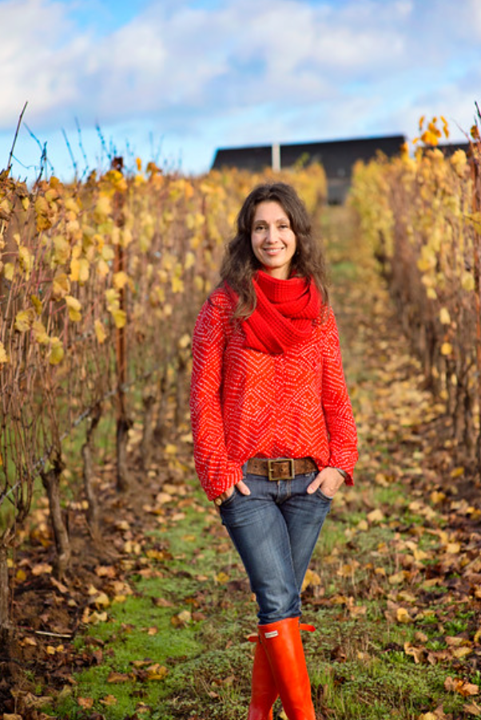 Ximena is an active member of the wine community and is part of the Yamhill-Carlton AVA’s Marketing Committee. She has almost 20 years of global corporate experience in the Telecom and High-Tech Industries with responsibilities in the areas of Operations, Finance and Business Development. Sam has been a director in Zone 5, the Dayton area, for nearly 30 years. In this position he is responsible and works to improve the natural resources in his zone. As a director on the Board he also helps make the appropriate decisions on natural resource opportunities and issues within the county. 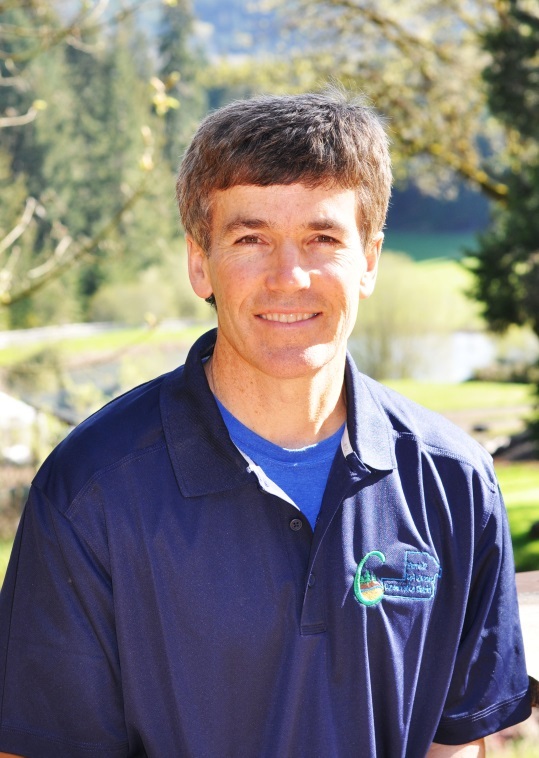 He also serves as chair of the LAC for the AWQP in the Yamhill Basin. The committee’s responsibility is to protect and improve water quality within the basin that can be degraded by farm and rural land owners. His interests are in long term conservation of the county’s natural resources that will benefit the county’s citizens for now and for the future. He farms with his wife Nancy, son Tom and daughter-in-law Pieper on the family farm raising a wide variety of both irrigated and dry land crops. Our generation – only one of many – for no matter our status need to borrow – and wisely use – from the yet to come. Gordon Cook was appointed director for Zone 4 (NE part of Yamhill County) on February 11, 2015 during the regularly scheduled board meeting. He had previously served as an associate director since 2007. Gordon brings experience working on highly erodible ground and wants to be able to use that experience to pass on to others in Yamhill County and to influence policies in that area. In addition to his time with the district, Gordon has also been a member of the Yamhill County Road Improvement Advisory Committee since 2002. 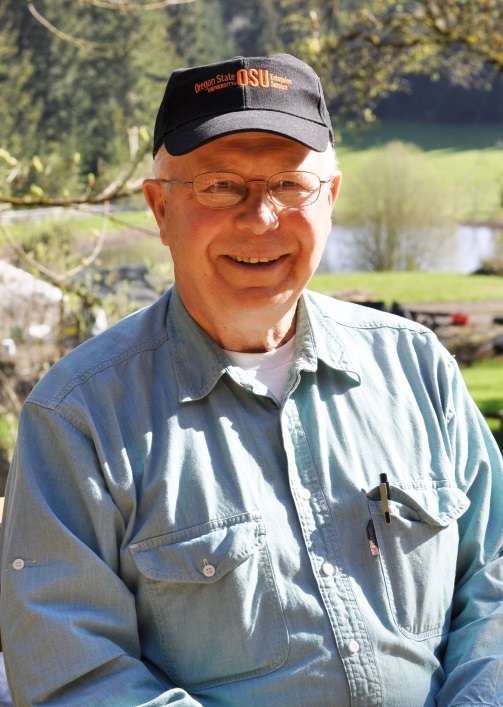 In 1970, following 27 months service in Viet Nam building roads, a heliport, building pads and clearing jungle, Gordon purchased 160 acres of his great grandfather’s farm on Bald Peak between Hillsboro and Newberg. He raised cattle, hay and grain. During those years he also did land clearing and logging. In 2000 Gordon decided to change gears and began doing tractor work in vineyards. Now he also does vineyard development and takes care of 10 different vineyards in Yamhill, Washington and Clackamas counties. An entrepreneur by nature, Gordon sells noble fir boughs from overgrown Christmas trees to wreath makers at the end of the grape harvest. Then keeps busy during winter months sawing specialty lumber on his portable sawmill. He is the fourth generation farmer on his land and received his inspiration for stewardship for the land from his Great Grandfather Mathias Guenther.